Oasis signed to independent record label Creation Records in 1993 and released their record-setting debut album Definitely Maybe (1994). The following year the band recorded (What's the Story) Morning Glory? (1995) with their new drummer Alan White, formerly of Starclub, in the midst of a chart rivalry with Britpop peers Blur. Along with Suede, Pulp and the aforementioned Blur, Oasis came to be regarded as a component of the Britpop "big four", and the Gallagher brothers were featured regularly in tabloid newspapers for their sibling disputes and wild lifestyles. 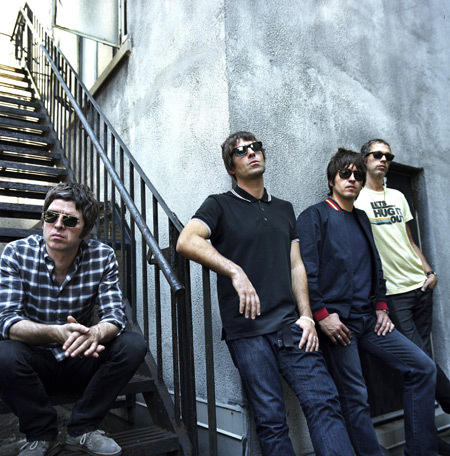 In 1997 Oasis released their third album, Be Here Now (1997), and although it became the fastest-selling album in UK chart history, the album's popularity tapered off quickly, not before selling 8 million copies. McGuigan and Arthurs left Oasis in 1999 as the band went on to record and release Standing on the Shoulder of Giants (2000). After their departures, they were replaced by former Heavy Stereo guitarist/frontman Gem Archer and former Hurricane No. 1 guitarist/frontman Andy Bell who joined the group for the tour in support of Standing on the Shoulder of Giants, which had moderate success. 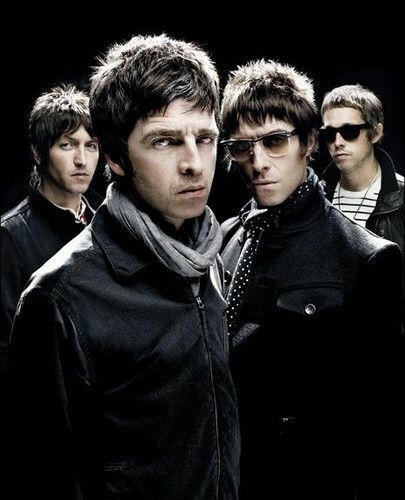 Their fifth studio album Heathen Chemistry (2002) saw Noel Gallagher's releasing strict creative control in the band's output with all members contributing songs, which led to more relaxed recording sessions. In 2004 the band were joined by The Who's drummer Zak Starkey, replacing Alan White, and found renewed success and popularity with Don't Believe the Truth (2005). Following the recording of the band's seventh album Dig Out Your Soul (2008), Starkey left and was replaced by Chris Sharrock on Oasis' last tour as a collective band. During the tour the brothers' increasingly deteriorating relationship ultimately led to Noel Gallagher announcing in August 2009 that he would be leaving the band after a backstage altercation with Liam before a festival appearance. The band, comprising the remaining members of Oasis and led by Liam Gallagher, decided to continue working together under the name Beady Eye until breaking up in 2014, while Noel went on to form his solo project Noel Gallagher's High Flying Birds. 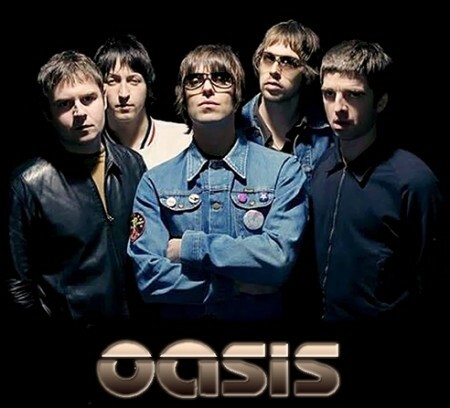 Oasis have had eight UK number-one singles and eight UK number-one albums, and won fifteen NME Awards, nine Q Awards, four MTV Europe Music Awards and six Brit Awards, including one in 2007 for Outstanding Contribution to Music and one for the Best Album of the Last 30 Years as voted by BBC Radio 2 listeners; they have been nominated for three Grammy Awards. By 2009, the band had sold over 70 million records worldwide. The band were listed in the Guinness World Records book in 2010 for "Longest Top 10 UK Chart Run by a Group" after an unprecedented run of 22 top 10 hits in the UK. The band also holds the Guinness World Record for being the most successful act in the UK between the years 1995 and 2005, spending 765 weeks in the Top 75 singles and albums charts.